Old Jacksonboro Road crosses the Savannah Highway within a half hour of Charleston. The junction has a name: Jericho. Today it is considered part of the town of Adams Run (as though you know where that is). As far as I know, Jericho was once the site of a hotel, a store with gas pumps named Caison’s Groceries, and a school annex for Coloreds. The store had a post office inside. 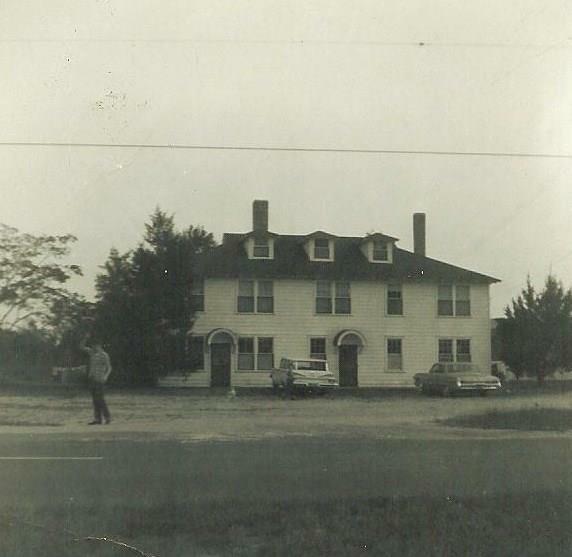 Mom and Dad bought the old hotel in 1970, when we returned to South Carolina. I was just 5. We didn’t stay there long. Sometime after we left South Carolina again in 1972, it all burned down in a couple of fires (I have an alibi: I was out of state). The hotel had three stories, if one counts the spacious attic with dormer windows and and old four-legged bathtub. It had exterior wooden stairways which functioned as fire escapes. It had ten bedrooms and four bathrooms. When we moved in, one of the bedrooms had a sagging floor. The bathrooms were equipped with showers, but none of them functioned. We all had to bathe in my sister Duska’s bedroom (the attic). About six years before, the house had been converted to a boys’ home by David A Reconnu and his wife Helen. They operated the boys’ home for about four years. The adjacent store (peeking through on the right edge of the above photo) came equipped with a soda vending machine that would allow a mischievous boy to yank a bottle out without paying. The trick to it was not to brag about snagging a free soda to one’s mom. When Mom and Dad first found out about the hotel in Spring 1970, they saw it as a place that might serve well as a home for seven and a dog, a chiropractic office, and a Bahá’í center. I must confess that if I were driving down the Savannah Highway and I saw a FOR SALE sign posted in front of that old hotel, I would have been sorely tempted to stop for a look-see. It seems they bought the house sight-unseen. When they actually laid eyes upon it, it was pretty badly trashed, featuring a trash pile in the front. Among my favorite memories of Jericho was the the trash pile in the back, all blackened from the last fire and wet from the last rain. I can still smell the aroma of molten plastics, rotting food, and rusted scrap metal. I also remember when a crab, recently taken from the ocean, got a hold of a cat’s tail. I’m not sure how that happened, but now I suspect it probably got some help from a teenage boy. Across the highway, there was a hotel of a different kind that was even more noteworthy: a maze of tunnels that some neighbor kids had dug out. My memory of that system of tunnels has endured in my mind as one of the great achievements of kidkind. It turned out the Hotel Jericho had too many maintenance and repair issues, and it wasn’t easy to unload. Mom and Dad weren’t able to sell it for a year or two after we left Jericho. Jericho School Annex for Coloreds. It turned out that the property was in worse shape than we’d thought. 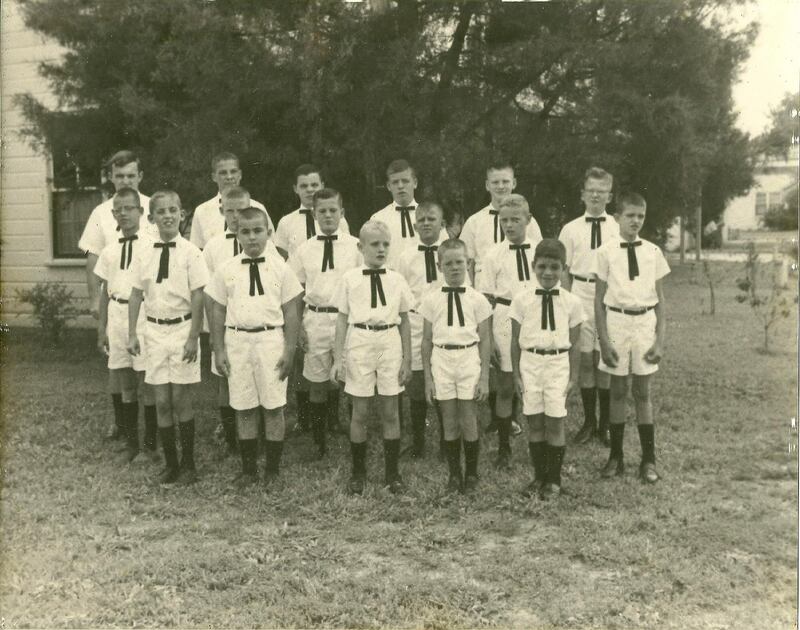 All the while we lived there, and for years before and after, going back to before the boys’ home, there had been a fertilizer plant operating behind the house, contaminating the soil and the groundwater. The area, including the site of the house, was later declared a superfund site. One of the companies that did the damage, Kerr-McGee, was infamously featured in the Karen Silkwood story. The sign of the company that ran the plant later still stands by the highway. Apparently, the fertilizer plant had been exporting fertilizer laced with quite a variety of toxic chemicals. This entry was posted in Dixie, Personal and tagged america. I love this page,plus the pictures,and most of all the writer who compiled all the interesting facts about Jericho and the Boy’s Home.I was one of the Boy’s in the Home for Two Years,and I have lots of Memories from there.Will you grant me permission to use this page on my page and give Dan J. Jensen all the credit for it.I was there from 1963 through 1965. Is any visitors former boys from there? I’m glad you like it, Thomas. Feel free to use the page as you like. And hey, thanks for the Notre Maison Boys Home Facebook page. What was the boy home for was it for behavior problems.